We are not suggesting you push pumpkin scented hearing aid batteries or fall colored BTE’s. Rather, think of this as a time to create the “fall warm fuzzies” in your hearing aid marketing. Utilize the season to increase response rate and improve your brand’s image. Freshness: Seasonal marketing gives your customers the impression that your business is on top of things. In a mailbox full of advertisements, sales letters and other hearing aid offers, yours will stand out as fresh and on top of the season. Emotion: Playing on emotion is a key factor in capturing responses. Fall makes it easy to create nostalgia, evoke childhood memories and give them the warm fuzzies. Remind them that caring for their hearing loss affects not only the individual but everyone around them. 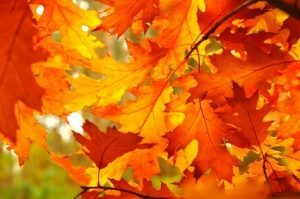 Timing: Fall is an optimal time for hearing aid marketing. The summer heat is over and change is in the air. Customers are not yet worrying about the Holiday spending. It’s a great time to remind your customer to take some time out to care for themselves and their loved ones. Add a special incentive, discount or giveaway to make this a great fall marketing piece! Audiologists and Hearing Aid Professionals: Contact us for an exclusive viewing of our new fall pieces.